PLEASE CLICK ON "SELF HELP" ON THE RIGHT-HAND SIDE OF THIS PAGE TO VIEW INFORMATION ON TREATING YOURSELF FOR COUGHS, COLDS, SORE THROATS AND FLU-LIKE ILLNESSES ETC. THESE USUALLY RESOLVE WITHIN A FEW DAYS AND FOR MOST PEOPLE YOU DO NOT NEED TO CONSULT A DOCTOR. If you live in the practice area and would like to become a patient of the practice, please open the link below to download the practice "Registration Questionnaire" or alternatively you can obtain one from Front Reception at either site. You will need to forward the completed questionnaire together with either an HS200 Form (if you coming from another practice in Great Britain or Northern Ireland) or if you have never had a UK Medical Card you will need to complete an HSCR1 form which is currently only available from the surgery. NB Please open the "BSO Forms" tab to download the HS200 and HSCR1 forms (the HSCR1 is also available in other languages). 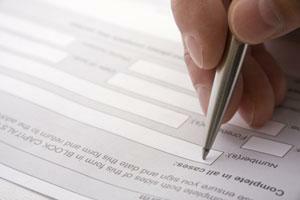 This form is available in English and in a range of other languages. Please click on the link below to download the form and/or in translation. Once you are registered with the Practice the following questionnaire should be completed and returned to us as soon as possible. This is particularly important if you are currently taking repeat medication. In addition you may wish to arrange to have a New Patient Medical with one of our Healthcare Assistants.